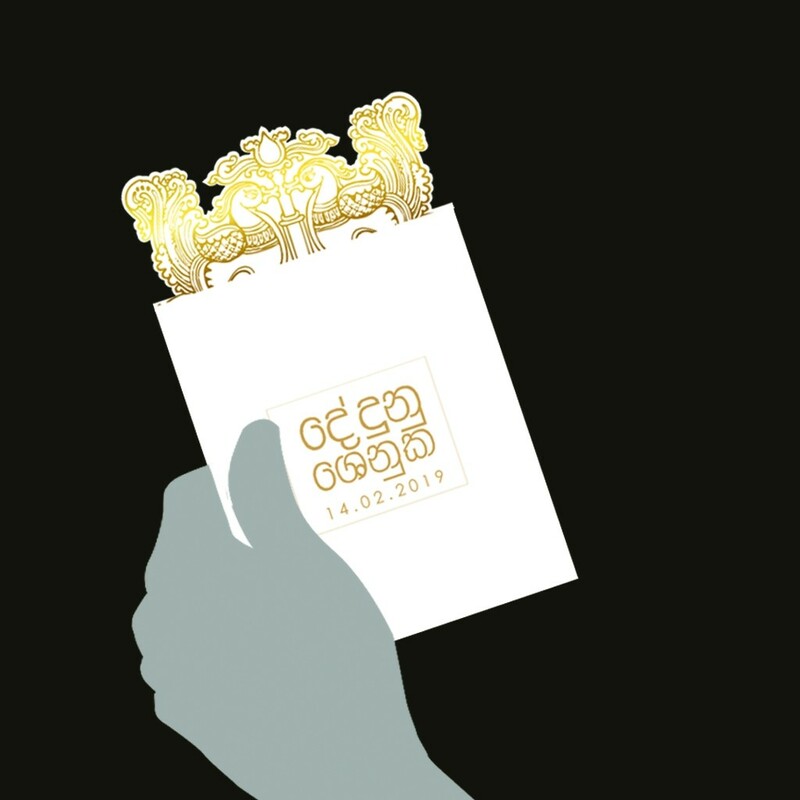 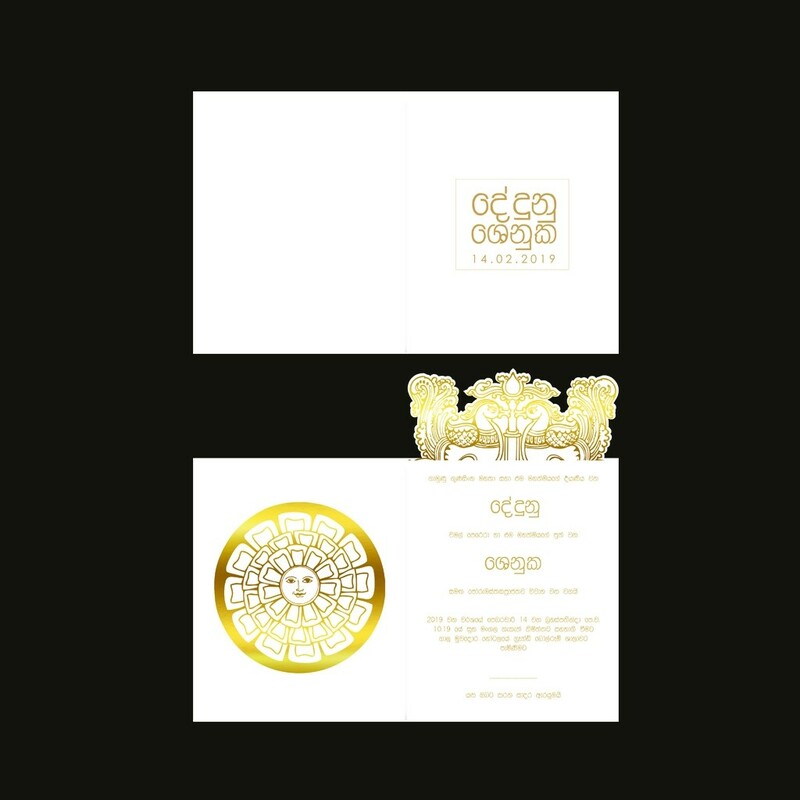 Sinhalese Buddhist weddings are usually a perfect concentration of many Sri Lankan cultural elements highlighted in gold foil. 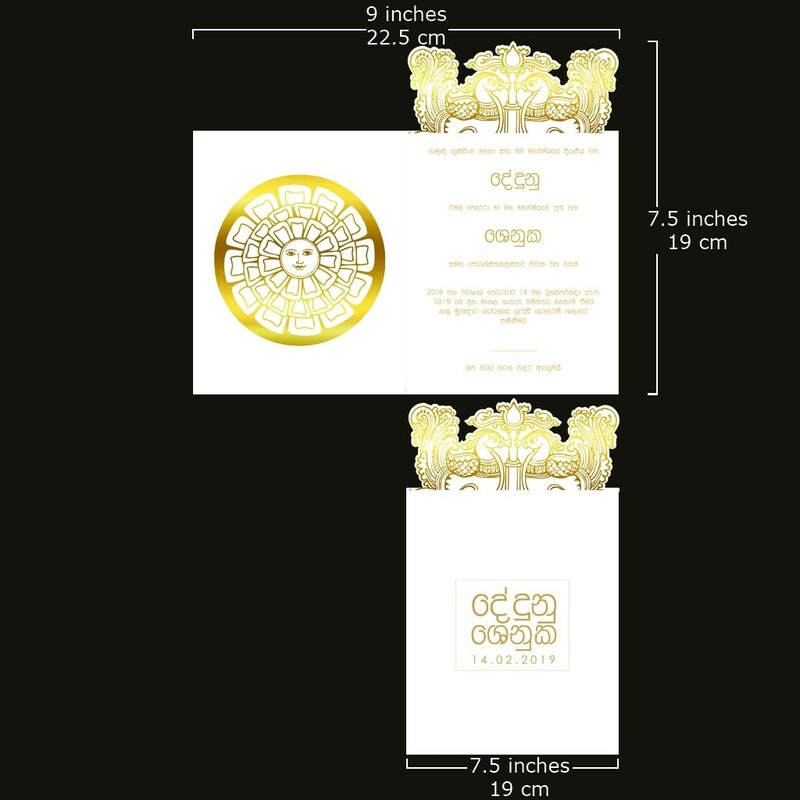 The décor and traditional art take a centre stage. 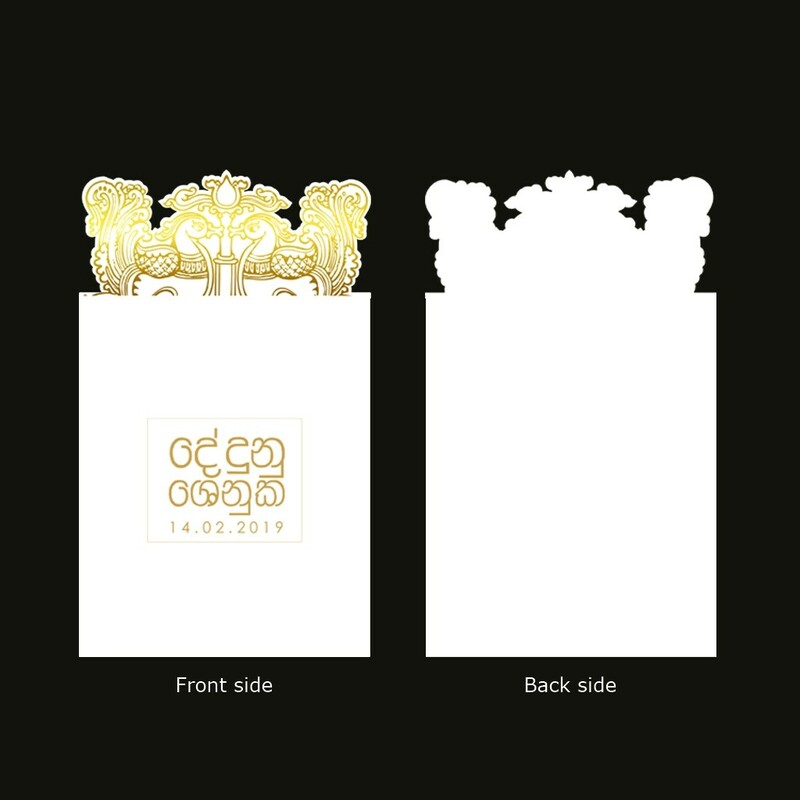 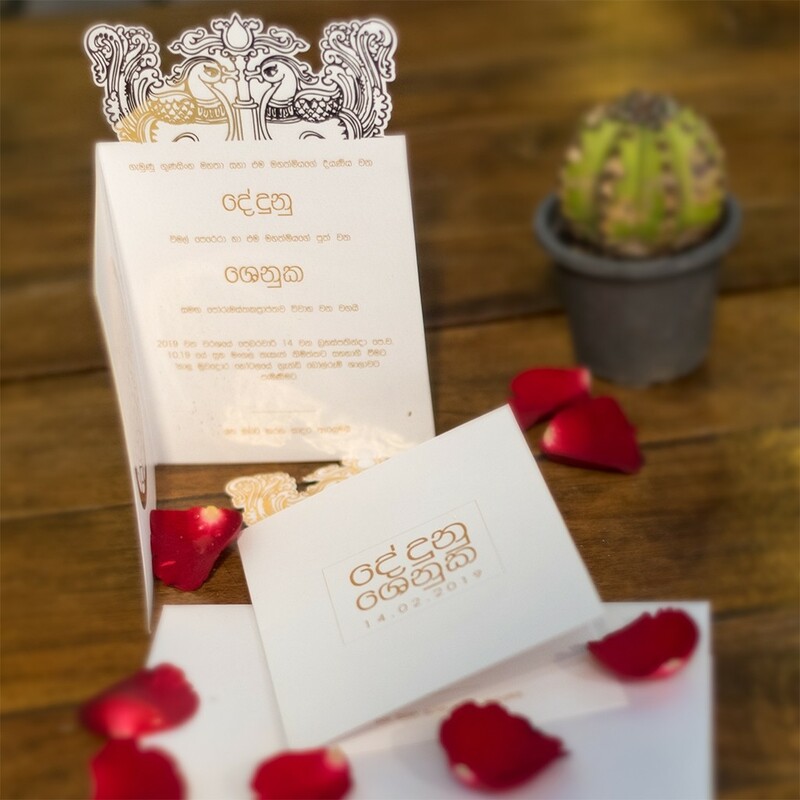 This design features a traditional design that is known as "Hansa Poottuwa" featuring two swans facing each other, symbolising your love for each other and lifelong partnership starting from your special day.